Bill Gates once said the first rule of using technology is that when you automate an efficient activity, you magnify its efficiency—and when you automate an inefficient activity, you magnify its inefficiency. That’s especially true for email. When used efficiently, it’s a powerful productivity tool. When used poorly, it’s a huge drain on your time and mental performance. Given that this year corporate workers are expected to receive 22 percent more business emails than in 2012 (and send 24 percent more), it’s probably fair to say most of us could use some help effectively managing email. Studies show email overuse stresses us out, overloads our brains and hurts our job satisfaction. How do we combat this insanity? Try implementing a few simple rules to clean up email use around the office. When co-workers feel like they have to constantly monitor email for fear of missing something important, the interruptions can cost them hours in lost productivity. Avoid the urgency trap by following programmer Cyrus Stoller’s guidelines for choosing the best communication tool: If you need a response within half an hour, call. If you need it within two hours, text. If it has to get done today, use instant messaging. If it can wait a couple days, go ahead and send an email. 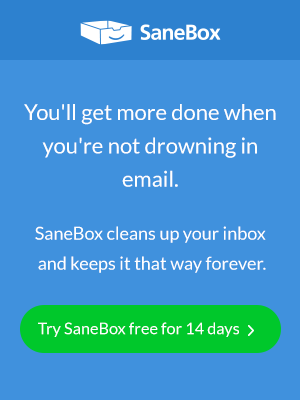 Your inbox makes a horrible prioritization tool. From vague subject lines to unclear action items, it’s often difficult to tell at a glance what you need to do with each email. Birchbox founders Katia Beauchamp and Hayley Barna address this problem by training their team members to indicate in every email whether a response is needed—and provide a deadline. When the Huffington Post asked its readers about their work habits, more than half said they spend less than two of their waking hours each day disconnected from email. When employees get in the habit of email in the evenings or on weekends, it exerts pressure on everyone to remain available around the clock. Consider adopting Vynamic’s “zmail” policy: No corporate emails from 10 p.m. to 6 a.m. on weeknights and none at all on weekends and holidays. When designer Mike Davidson realized many of his emails took more time to reply to than they did for the sender to write, he set up an email policy limiting his responses to five sentences. He applies it to every email, across the board. Adding a simple signature to your emails can help with managing email expectations among your colleagues as you implement this rule. Setting clear guidelines like these can help you clean up email habits that drain your company’s time. Once they become second nature, you just might pass the Bill Gates efficiency test.